Editor’s note: This week we are sharing editor David Kudler’s forward to Campbell’s collection of essays Myths of Light: Eastern Metaphors of the Eternal, in honor of its new release as an eBook and audio book. It provides some intriguing insights into the development of Campbell’s thought on Asian religions and the editorial process of bringing together those thoughts into a cohesive work that resonates for contemporary audiences. Enjoy! By the time Joseph Campbell returned from his yearlong journey to Asia in 1955, he had undergone a literally life-changing experience. Since his chance meeting with Jiddu Krishnamurti on a transatlantic liner in 1924, Campbell had been fascinated with the myths and religions of what was then universally known as the Orient. During his graduate studies in Europe, he had been introduced to the ideas of Western thinkers such as C. G. Jung, Adolph Bastian, and the Romantic philosophers of the nineteenth century, all of whom had been profoundly influenced by Oriental thought and imagery. In 1942, as a professor at Sarah Lawrence College, he had the good fortune to become a friend and protégé of the great Indologist Heinrich Zimmer, whose ideas on the mythic underpinnings of the Indian religions enriched and informed his own views. When Zimmer died in 1945, Campbell agreed with Zimmer’s widow, Christiane, that he would edit the notes and unfinished work that Zimmer had left behind. This endeavor had filled Campbell’s professional life until his year of travel, when he at last came face-to-face with the continent that he had read and written so much about. Of course, the Asia he experienced was both infinitely more and infinitely less than he had expected. His journals of this journey, which have been published as Asian Journals, resonate with his frustration, but also with his wonder. While he was disappointed with what he found to be an emphasis on what the Indians call bhakti, ritual devotion, he was also astonished with a mode of thought—evident in Calcutta and Kyoto, Bengal and Bangkok—that was fundamentally different from the Western mode in which Campbell himself had been raised. It was a mind-set that assumed an altogether different connection between the individual and the transcendent. Instead of the relationship of creature to Creator, Campbell found cultures that defined the self as being identical with the eternal—that which Hindus call Brahman. The other major revelation that struck Campbell during this trip was the absolute lack of education in comparative mythology and religion that afflicted most Americans. Throughout the trip, he was embarrassed to observe fellow countrymen—even among the scholars and diplomats he traveled with—who were either woefully ill informed about or utterly indifferent to the cultures they encountered. These two thoughts combined to inspire Campbell to transform his career. No longer would he be content to limit himself to writing for his peers and teaching only his students. Strictly speaking, he had intended The Hero with a Thousand Faces, published in 1949, to be a popular work, as we can see from its original title, How to Read a Myth. Nevertheless, it had been, to that point, a niche publication, not yet having gained the wide influence it would come to wield in American culture. Now, Campbell began consciously to seek ways to reach a broader audience. He undertook—while still in Asia—to write a popular overview of comparative myth. The result was his four-volume masterpiece, The Masks of God, a comprehensive history of religion and myth that appeared between 1959 and 1968. A favorite topic, from his return to the United States to his death in 1987, was the mythology of the great Indian and East Asian religions. 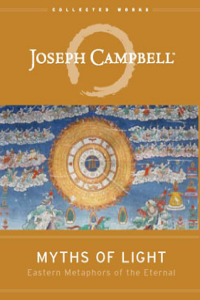 The Joseph Campbell Foundation archives list hundreds of lectures on subjects broad and esoteric, but focused on the world that Campbell resolutely called the Orient. This book is drawn almost entirely from transcripts of those lectures, along with some unpublished essays. In each, Campbell explores the Eastern metaphors of the eternal by their many names: Brahman, the Tao, the Buddha mind. The first chapter, “The Birth of Brahman,” focuses on the essence of the idea of that transcendent World Soul and its historical development. The second chapter, “The Jīva’s Journey,” looks at the relationship of that idea to the view of the individual in Indian and East Asian traditional culture. The penultimate chapter, “Vessels to the Farther Shore,” examines the particular modes in which the idea of the transcendent has clothed itself in the East—that is, the various religions and how they have developed throughout the region and throughout history. In preparing to edit this work, I was faced with many challenges. The first was to decide what material to include. I had just finished assisting in the completion of the first volume in this current series, Thou Art That: Transforming Religious Metaphor, edited by Eugene Kennedy, which focused on the underlying myths of the Judeo-Christian tradition. It seemed that a similar book that represented a parallel exploration of Asian myths was in order. I reviewed as much of Campbell’s work on Asian mythology—both published and unpublished—as I could, and began to concentrate on the idea that is now examined in this volume. Once the basic thesis was set, I knew that I would use seven lectures that have been released as part of The Joseph Campbell Audio Collection—two from the volume entitled “The Inward Journey: East and West” and the five that make up the volume “The Eastern Way.” Campbell made all of these recordings during his first great round of public teaching in the 1960s. I then scoured through the other lecture transcripts and unpublished writings that Campbell left behind, and found many that filled what I perceived to be gaps in the overall argument. These ranged in date from 1957, immediately after Campbell’s return from Asia, to 1983, just four years before his death. Once I had accumulated this wonderful body of material, I was faced with an editor’s greatest challenge: how to approach and assemble it. In this regard I had three models I could follow, all provided by Joseph Campbell himself. The first was to create a truly syncretic work, taking the words from the various pieces, breaking apart the component ideas, and moving them into an order that suited the work as a whole. This model was the one followed by Campbell in assembling the posthumous works of Heinrich Zimmer. Unfortunately, I didn’t feel quite the mastery of the material that Campbell himself possessed. The second model that Campbell provided was a simple anthology—a series of articles unconnected except by theme. This was the approach that Campbell took in compiling his first omnibus essay collection, The Flight of the Wild Gander: Explorations in the Mythological Dimension. I felt that, with a series of lectures on so relatively focused a subject, this approach would lead to too many redundancies and too little continuity. The last approach—the one that I finally took—was a middle road. 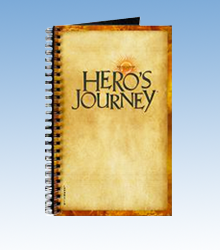 This was the method undertaken by Campbell in preparing his popular book on personal myth, Myths to Live By. For that work, Campbell had taken a selection of his lecture transcripts, put them into a logical progression, and then edited them heavily in order to remove repetition, reinforce the development of ideas, and create a unified rhetorical statement. The reader will judge how well I have succeeded. The startling connections and remarkable conclusions you find in this volume, you may ascribe to Joseph Campbell. Any gaps or logical inconsistencies you may lay at my feet. Since I have mixed a number of lecture extracts and article fragments in with the talks that form the main body of this piece, and since I have consolidated some overlapping sections in order to avoid redundancy without losing any of Campbell’s more interesting observations, I have moved and combined many passages. I hope the reader will not be surprised or disappointed, therefore, that the chapters in this book no longer serve as transcripts of the original lectures. You can find Myths of Light as a paperback, eBook, and audio book here. Since 1999, David Kudler has overseen the publications program of Joseph Campbell Foundation, serving as managing editor of the Collected Works of Joseph Campbell. For JCF he has edited three posthumous volumes of Campbell’s previously unpublished work (Pathways to Bliss, Myths of Light and Sake & Satori). 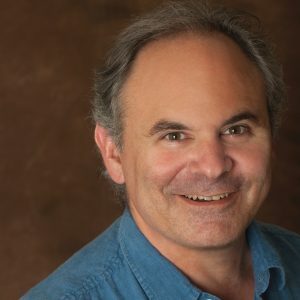 In addition, he has managed the publication of over seventy print, ebook, audio, and video titles, including the third edition of Campbell’s seminal The Hero with a Thousand Faces. He is founder, publisher, and editor-in-chief of Stillpoint Digital Press. An author as well, he released Risuko, a young-adult historical adventure novel, in June, 2016. He is currently working on the sequel, Bright Eyes.